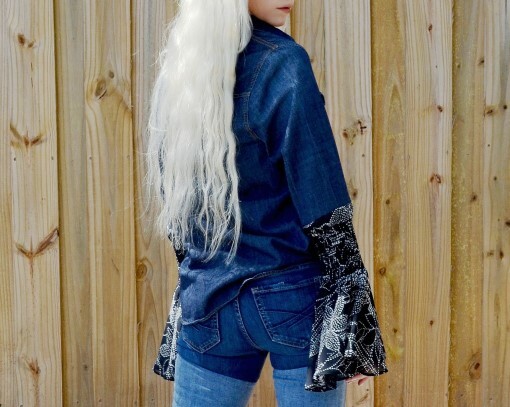 Denim top with floral sheer sleeves. Womens clothing. Catalog > Denim button down. Floral sheer bell sleeve. 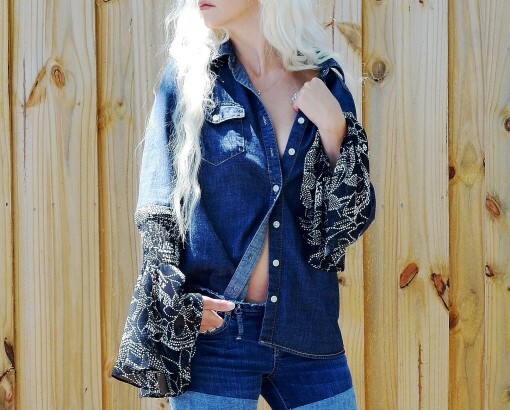 One of a kind Denim top with floral sheer bell sleeves. This is the only one I have! Measured from armpit to armpit 20"
Floral and denim. 100% cotton.